The Pointe at Oakland Park Townhomes by K. Hovnanian Homes is a gated community of 40 town homes located in Oakland Park Florida. Located in the ideal location for easy access to Atlantic Ocean and Fort Lauderdale restaurants and shops. This community offers south beach architecture with pool, clubhouse and exercise room surrounded by lush landscaping. 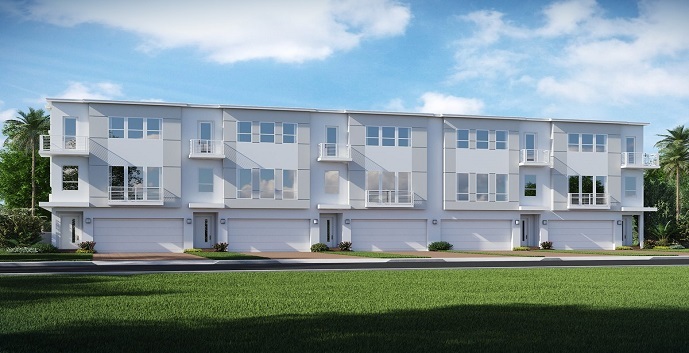 The Pointe at Middle River Townhomes offers 2 distinct townhome designs. Both designs offer interior and exterior units. 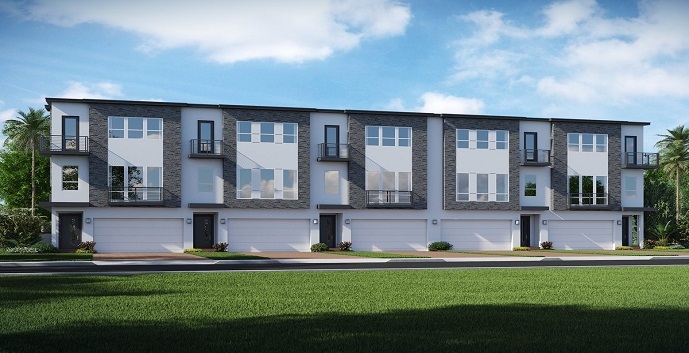 Selena Model - 3 stories, 3 bedrooms, 3 bathrooms, master suite with covered balcony, bonus room with a half bath, great room with view from deck, optional dumb waiter between the basement and first floor, and 2 car garage. 2,315 sq.ft. Move in ready price from $478,902.